In California, property owners have a duty to warn patrons of unsafe conditions that exist on their properties. If there is a hazardous condition that exists that the property owners are aware of, they also must repair the condition so that visitors remain safe. In a recent case that was decided in the Los Angeles County Superior Court, Case No. SC112366, these duties that are owed were illustrated. People who have suffered serious injuries because of the negligence of property owners might want to talk to an experienced premises liability lawyer in Los Angeles. On March 6, 2011, a tourist from Oklahoma named Terry Turner ate at Geoffrey’s restaurant, which is located in Malibu. After he finished eating, he tried to turn left onto PCH. PCH is a one-way road in front of Geoffrey’s that has a median to divide traffic that is headed in the opposite direction. When Turner turned left, he was headed directly into oncoming traffic. A 41-year-old man named Joseph Annocki Jr. was riding his motorcycle on PCH. He tried to avoid Turner’s vehicle, lost control of his motorcycle and fell off of it. He was killed as a result. Turner’s parents filed a wrongful death lawsuit against Turner, Caltrans and Petersen Enterprises LLC, the parent company of Geoffrey’s Malibu under theories of negligence and premises liability. Steven M. Sweat, APC has been helping injured bikers in Los Angeles and California for over 20 years. In a recent case in Los Angeles County (L.A. Superior Court Case No. 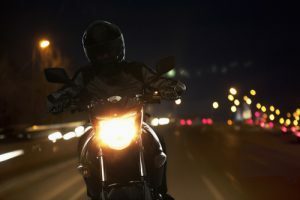 BC553756), a jury returned a verdict of $3.7 million in a case involving a motorist and a motorcyclist who was lane-splitting at the time of the accident. The case demonstrates the legal concept of comparative negligence in California. With the passage of the new lane-splitting bill, the new rules could potentially impact how comparative negligence is determined by juries in the state. 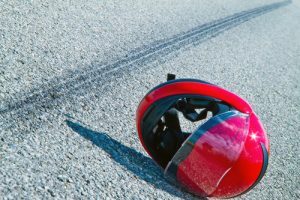 A recent case in Santa Clara County in which a plaintiff motorcyclist sued a motor vehicle driver for negligence in a motorcycle and car accident case resulted in a verdict of nearly $1.2 million for the plaintiff. 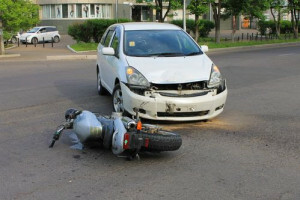 The defendant driver had claimed the motorcyclist was negligent and thus at least partly liable for the accident. The plaintiff in the case was traveling along Highway 101 in the first lane of traffic on his motorcycle directly behind the defendant driver at 9:00 a.m. on a Monday morning. The defendant reportedly was distracted by another vehicle’s custom license plate and failed to notice that traffic had slowed in front of him. When he did notice, he slammed on his brakes in order to avoid hitting the vehicle in front of him, causing his car to fishtail and enter the second lane of traffic. Does Lane-Splitting Cause California Accidents? “Lane-splitting” occurs when a motorcyclist between lanes of slow-moving or stopped traffic. This practice is against the law in 49 states and the District of Columbia, and California is the only state in the country that does not have a law specifically outlawing lane-splitting. California also does not have a law specifically stating that lane-splitting is legal and, therefore, many motorists become angry when motorcyclists engage in this behavior. Though lane-splitting can be distracting to motorists and can lead to accidents and injuries, the practice can be safe when done in a prudent and safe manner. 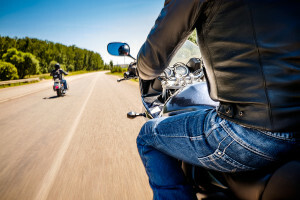 If a motorcyclist fails to be careful or reasonable when lane-splitting and a collision occurs, any injured victims should contact a California motorcycle injury attorney as soon as possible to discuss a potential case.